Home World Affairs Chicago makes history electing Lori Lightfoot as first black woman. Chicago makes history electing Lori Lightfoot as first black woman. Chicago has created history by electing an African-American woman as its mayor for the first time. Lori Lightfoot, a 56-year-old former federal prosecutor and practicing lawyer who has never before held elected office, won the city’s mayoral race by a huge margin. 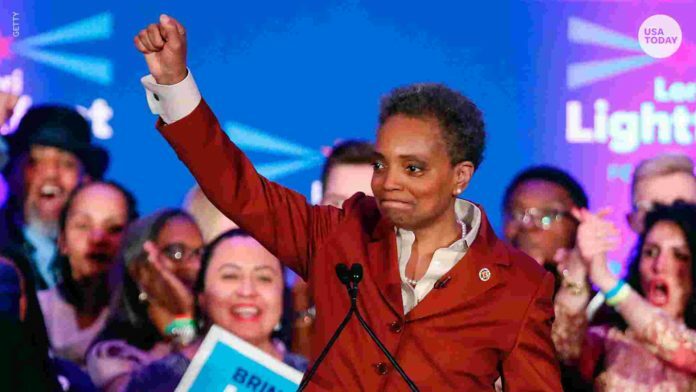 She will also be Chicago’s first openly gay mayor. Lightfoot will take over office from Mayor Rahm Emanuel, who previously served as chief of staff under former President Barack Obama. Next articlePakistan GDP growth to slump further to 3.9% this year: ADB.